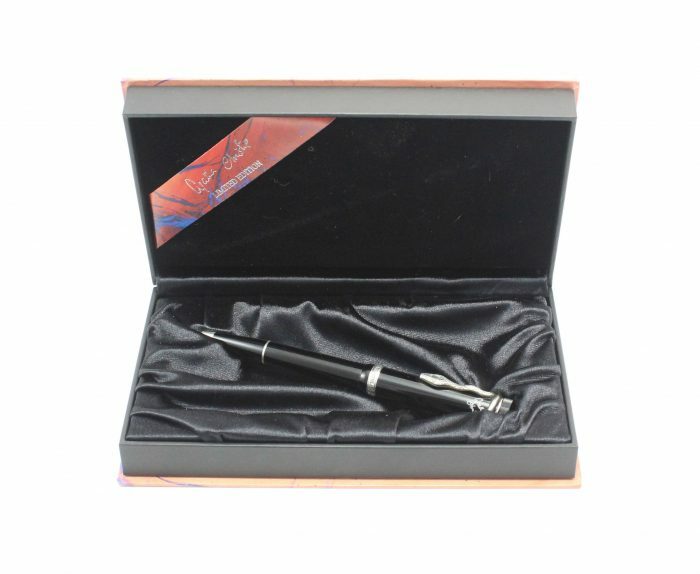 This limited edition ballpoint pen was made in honor of Agatha Christie – an internationally renowned author of the 20th century. It was first introduced in 1993 with only 25,000 models being released worldwide. The clip is shaped in the form of a snake. This fine writing utensil was modeled after a Montblanc fountain pen from 1920. It features precious resin, 925 sterling silver, and genuine rubies (snake’s eyes). The pen is also engraved with the author’s signature. It is a valuable instrument that will provide many years of writing pleasure.